Kitchen trash cans sure have evolved a lot over the years. When I was a kid, we just had a small trash can under the kitchen sink. 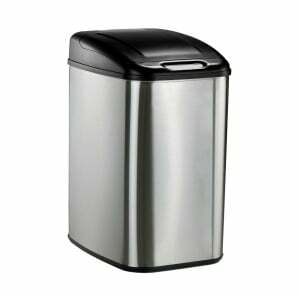 These days there are many stylish kitchen garbage cans to choose from, with many different features and options. You can get them in different colors and styles, and most open with just a step of your foot (some you don’t have to touch at all). 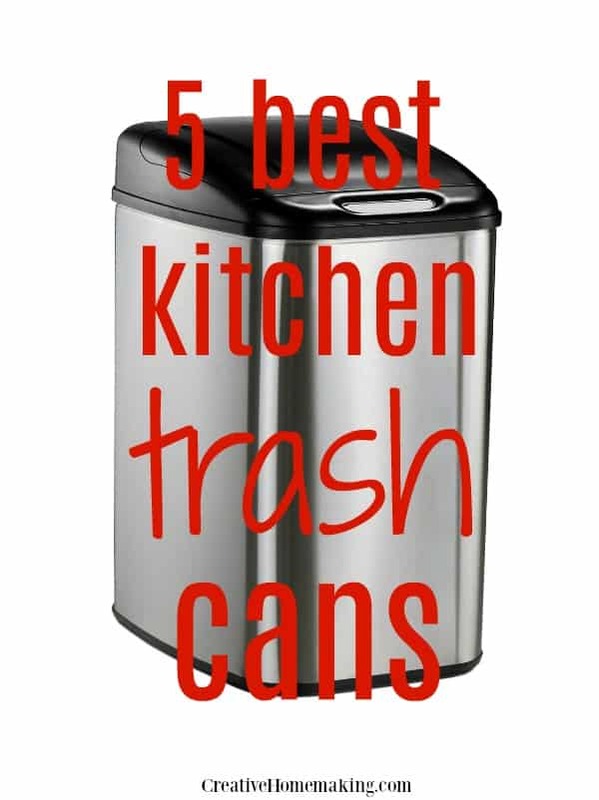 Here are the best selling kitchen trash cans for 2019. Amazon’s Choice for the best selling kitchen trash can for 2019 is this simplehuman 13 gallon trash can. This model is made of plastic and features a secure slide lock. The benefit of the black plastic is that you don’t have the fingerprint marks you end up with on stainless steel (I have a stainless steel can, and it can be a pain to keep clean). There are a variety of colors to choose from: black, white, stone, mocha, and gray. This is a larger style garbage can for larger families. It has a great silent close lid that closes slowly and quietly so it doesn’t bang when the can closes. 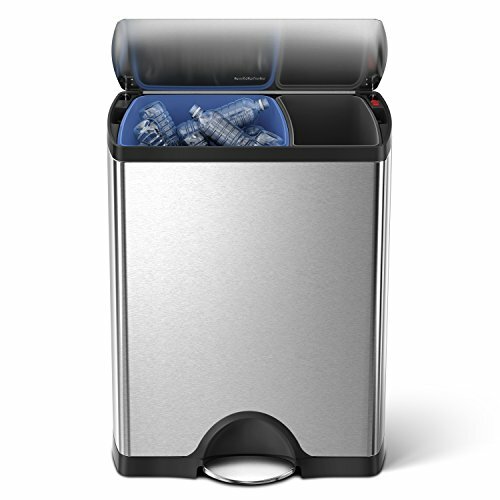 This simplehuman trash can is rated 4.5/5 on Amazon, and it has a 5 year warranty. It has been reviewed by almost 7,000 customers. Customers are very happy with the size of this can. It is tall and narrow, so it fits well into small places for people who live in apartments or have a small kitchen. Check current prices for this trash can. 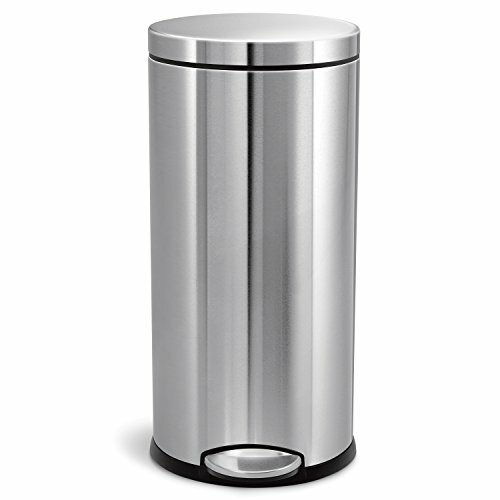 If you are looking for a more stylish trash can that it made of stainless steel, then you might want to check out this brushed stainless steel model. With this model you definitely get what you pay for (check current prices). It even features a 10 year warranty. This model features a stainless steel pedal that is made to stand up to heavy use. It has a stay open lid for when you are working on longer chores and a silent close lids that closes slowly and quietly. Another feature you will love about this trash can is that it has a removable inner liner that you can take outside and rinse with the garden hose. It also has dual compartments where you can put garbage on one side and recyclables on the other side (pretty cool!). 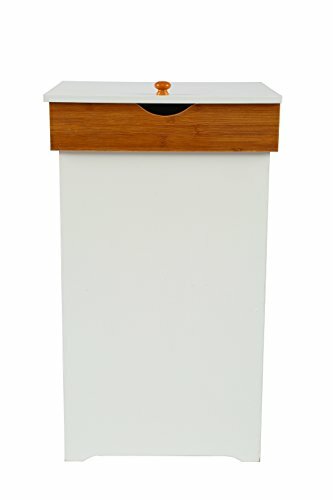 This model trash can is rated 4.2/5 on Amazon. Read the reviews for this model. People say it’s over priced, but they LOVE it and would buy it again. 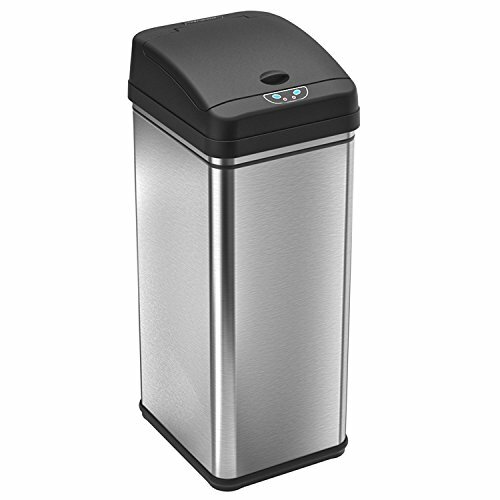 This touchless stainless steel kitchen trash can features an odor-absorbing filter. Amazon states that it is the #1 new release in kitchen waste bins for 2019. This model is unique in that it opens with the motion of your hand. There is no foot pedal, and no need to touch the trash can with your hand. It operates with the power of D batteries. Its rectangular shape allows it to fit into tight corners, and its stainless steel surface claims to be fingerprint proof. You can use common 13 gallon garbage bags in this model. Some of the other brand models require specially fitted trash bags. This model is rated 4/5 stars. 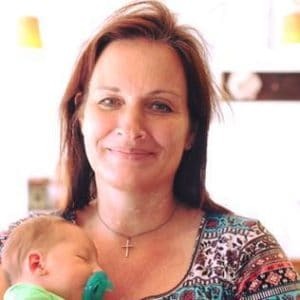 It has been reviewed by more than 6,000 customers. One customer is using it as a diaper bin and loves it for its odor-absorbing feature. Reviewers state that the batteries last more than a year so having to frequently change batteries is not a concern. Read the reviews. This is a moderately priced garbage can, they are less than $100. Check the current price. 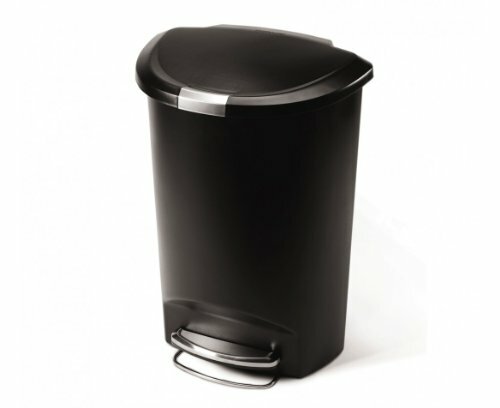 This kitchen trash can is small in size and will fit well in small kitchens. It has a capacity of 8 gallons and it is tall and narrow to fit into small spaces. It is brushed stainless steel and has a strong steel pedal that will last with heavy use. This model features a 10 year warranty, so it is a good investment for the price. Check the current price. This can also has a slow silent closing lid that will stay open for longer chores, and includes an inner liner that can be removed for easy cleaning. It is rated 4/5 stars on Amazon. Read the customer reviews. The biggest complaint with this kitchen trash can is that you have to purchase special trash bags for this model. Common trash bags aren’t long enough to reach the bottom of the can. But you can easily purchase the required size bags on Amazon. If you are looking for a decorative trash can for your country kitchen, then you will love this wooden painted trash can. It comes in white or yellow. This trash can features an inner wooden frame to secure your trash bags. These cans also work well for storing your recyclables. It has received a rating of 4/5 stars. Overall, customers have been very happy with their purchase. They say it is well made (some assembly is required), and it is very attractive looking so it is a great addition to any country style kitchen. Read the reviews. This is another moderately priced trash can, with a price tag of under $100. Get one for your trash and another for recyclables. Check the current price.